THE best efforts of road safety campaigns don't seem to be enough to stop people dying in Sunshine Coast crashes. Sunshine Coast District Forensic Crash Unit officer-in-charge Sergeant Sherryn Klump and her team have investigated 19 deadly incidents this year. "The primary causes of fatalities on our roads continue to be one or more of the Fatal Five," Sgt Klump said. "Even with ongoing awareness campaigns, people continue to make decisions to drive whilst intoxicated, or decide not to wear seatbelts." She said mobile phones and devices were distracting drivers to a point where they were incapable of being aware of what was happening around them. "Safety features in our vehicles don't absolve us from making sound driving decisions." She said driving tired was no different to driving drunk. "We all recognise the signs of fatigue but choose to ignore them. "Don't ignore them, don't push through." Sgt Klump said it was better to take some time out of the car and survive. "But most importantly, when we are driving in our vehicles, it is friends and family travelling with us. "Therefore they are the ones who will be most affected when things go wrong. "Be mindful of keeping your loved ones safe on the road." January 6, Pacific Boulevard, Buddina: The crash that claimed the life of 19-year-old Mountain Creek man Bailey Sibraa was the first fatal investigation of the year for Sgt Klump's team. "An initial impact between two vehicles, has resulted in one of those vehicles losing control and colliding with a tree on the eastern side of the road," Sgt Klump said. Mr Sibraa, a passenger in a single cab ute containing two other mates, died at the scene. His friend Josh Harrison was flown to Royal Brisbane and Women's Hospital with serious injuries. The driver, Jett Malcolm Morris, of Landsborough, was charged with dangerous operation of a motor vehicle causing death and grievous bodily harm whilst adversely affected. His matter is still before the courts. Sgt Klump said it was a reminder to all young drivers about how quickly they could find themselves in dangerous situations with horrific outcomes. A 41-YEAR-OLD Peachester man died after crashing into trees. "It appears that the driver of the vehicle had been travelling at excessive speed, having overtaken another vehicle just prior to losing control and colliding with trees. "There are no charges arising from the incident as the deceased driver was the sole occupant of the vehicle. Sgt Klump said it was important to understand that advisory signs and speed limits of winding country roads were set with the geometry of the road in mind. "If travelling too quickly around a bend, then the vehicle loses traction with the road surface and cannot be brought back under control until speed is reduced. "Unfortunately, applying brakes in a sliding situation like that can just exacerbate the problem of loss of traction. "By adhering to nominated speed limits, and observing advisory speed signs, particularly in wet conditions, then this loss of control on curves can be avoided." A 19-YEAR-OLD Noosaville woman died when the sedan she was driving veered across the centre dividing line of Walter Hay Drive and crashed head on with a truck. "Investigators were unable to clearly identify what caused the driver to drift out of her travel lane in this way, whether it be fatigue or distraction," Sgt Klump said. It was reported that the vehicle had been driven normally prior to leaving the lane and not believed to be a deliberate act. She said police recommended no action be taken against any person in relation to the cause of the crash. THE alleged manner of driving brought criminal charges against a 52-year-old Brisbane man in relation to a crash that killed his passenger. The driver lost control and the car rolled, coming to rest under the Nambour Connection Rd and Maroochydore Rd overpass. A 22-year-old Goodna man, who was seated in the rear of the car, was not wearing a seatbelt and was thrown from the vehicle when it rolled. He was trapped when the car came to a rest. The driver was charged with dangerous operation of a motor vehicle causing death and grievous bodily harm whilst adversely affected. "This scene was particularly discomfiting for witnesses who stopped to offer assistance. "We ask that anyone confronted with such scenes be mindful of their own wellbeing. "We are grateful to those who stop and do whatever they can." Sgt Klump said a vehicle being driven south on the motorway veered off and crashed into trees on the road shoulder. A 31-year-old Palmview man, who was the front passenger in the vehicle, died at the scene. 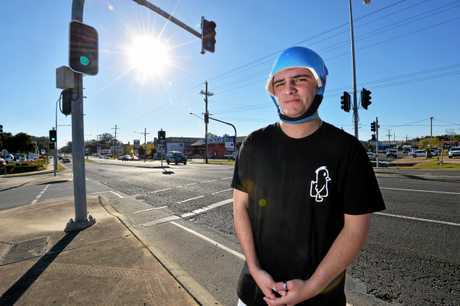 A 24-year-old Bli Bli man was charged with dangerous operation of a motor vehicle causing death. A 31-YEAR-OLD Coolum Beach man died when the motorcycle he was riding crashed into an embankment after failing to negotiate a left bend in the road. "Failure to negotiate a bend in the road in this type of incident can be attributed to either excessive speed, delayed responses due to fatigue or intoxication or rider distraction," Sgt Klump said. "There were no witnesses to the incident and CCTV footage obtained from Transport Main Roads indicated that there were no other vehicles in the vicinity of the motorcycle at the time of the crash." She said police found no other parties responsible for the crash. 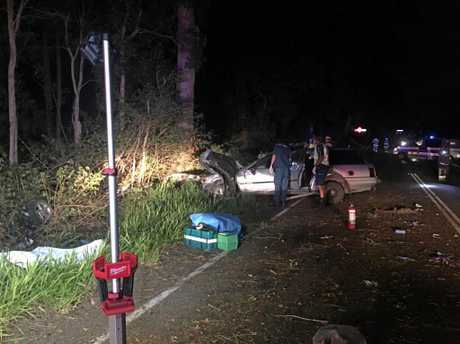 Sgt Klump said a crash into a power pole which killed a 23-year-old Coolum Beach woman was a result of her car being driven at speed through a bend. "Investigations of this incident involved viewing security footage from a local business, which showed the vehicle involved," Sgt Klump said. She said police noted the time it was viewed and compared that to when power was cut in the area, presumably from the crash. "Further confirmation of the vehicle speed is calculated using the tyre marks left by the vehicle as it slid towards the pole." She said security footage also showed there were no other vehicles nearby when the woman crashed. "This is another example of one of our fatal five causes of road trauma - speed - and again, on a bend in a road where the vehicle cannot maintain traction with the road surface." "This incident occurred when a northbound vehicle veered off the carriageway and rolled in the centre median of the Bruce Highway," Sgt Klump said. A 43-year-old Maroochydore woman driving the vehicle was taken to Sunshine Coast University Hospital but later succumbed to her injuries. "Investigations into this incident, also found that there were no other vehicles contributing to the incident. "It was concluded that intoxication was the likely contributing factor of this fatality." A 41-YEAR-OLD Buderim man died of injuries he sustained when he was struck by a vehicle travelling north. "Investigations into this type of incident centre around a driver's ability and opportunity to observe a pedestrian walking on, or crossing the road and whether or not the driver has a reasonable expectation of seeing the pedestrian given the lighting and location," Sgt Klump said. "All drivers in this type of incident are tested on the roadside for alcohol and undergo a saliva test for the presence of relevant drugs. "It is timely to remind all road users - pedestrians, drivers and riders - that we all have a responsibility to show due care and consideration to other road users. "Pedestrians also have a duty of care when walking on or near the road." No charges were laid as a result of the crash. A 36-YEAR-OLD Bli Bli man was charged with dangerous operation of a motor vehicle causing death as a result of a single-vehicle crash. The crash killed a 21-year-old Tanawha man. "This was another single-vehicle incident, which resulted in the death of a 39-year-old Cooroibah man," Sgt Klump said. 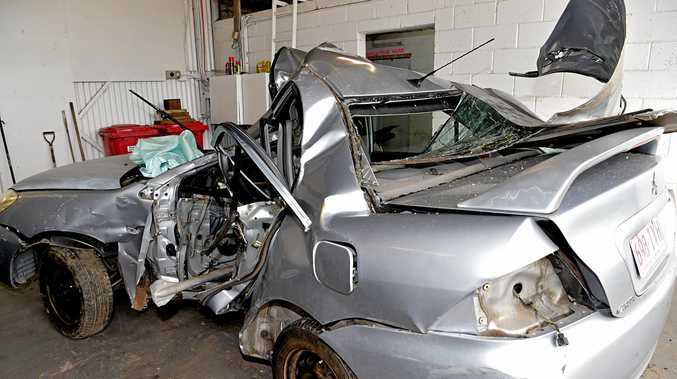 "The vehicle he was driving veered off the carriageway and collided with roadside trees. "There were no witnesses to the incident itself, but during the investigation it was established that the deceased had been drinking heavily during the evening and declined the offer of staying with a friend for the night." She said the man was not seen again until his crashed vehicle was found by a passing motorist. "Sadly, (this was) a situation that may have been avoided if the kind offer of a bed for the night had been accepted. "Remember a recent campaign of not letting our mates drive home by offering somewhere to stay - the Mates Motel." A 39-YEAR-OLD mother of two died when she was struck by a small truck outside her home. Sgt Klump said it happened soon after the woman got out of her car as she arrived home. A 39-year-old Valdora man was charged with dangerous operation of a motor vehicle causing death. A 61-YEAR-OLD Buderim motorcycle rider died at the scene when he and a vehicle making a turn into Storrs Rd collided. "The incident occurred on a section of Peachester Rd with restricted visibility for vehicles that were both turning or intending to continue straight ahead," Sgt Klump said. A 53-year-old Peachester man driving the vehicle involved was uninjured. Police investigations into the incident are yet to be finalised. A motorcycle crash claimed the life of a 48-year-old Landsborough man. "The exact circumstances of the incident are not known as there were no witnesses," Sgt Klump said. Evidence at the scene suggested the rider was thrown, or fell, from the motorcycle. She said it was possible the man was not overly familiar with the characteristics of the recently purchased bike. "The deceased was recognised to be a cautious rider and very experienced. "It is uncertain what caused the incident which resulted in his death, although it is known that there were no other vehicles in the immediate vicinity at the time that may have contributed." A 75-YEAR-OLD woman from Mount Coolum suffered life-threatening injuries and later died as a result of a head-on crash. The 61-year-old driver of the same vehicle also suffered serious injuries. A 48-year-old Coolum Beach woman was charged with dangerous operation of a motor vehicle causing death and grievous bodily harm. Her matter is still before the courts. Sergeant Klump said a crash involving a pedestrian and a B-double truck was an apparent suicide. She urged people to seek help if they were struggling with anxiety and depression. For help call Lifeline on 131 114 or Beyond Blue on 1300 224 636. 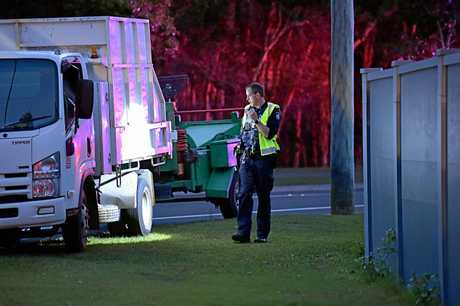 A 47-YEAR-OLD Maroochydore man was charged and remanded in custody after a traffic controller was hit and killed at roadworks. The 56-year-old Mountain Creek man died at the scene. The driver's matters are still before the courts. "Speed limits through roadworks are reduce to enhance the safety of those working within," Sgt Klump said. "Please be patient and adhere to the reduced limits. "The minor inconvenience now is a small price to pay." A 54-YEAR-OLD Woombye man died after being struck by a car. "The investigation of this incident is still in very early stages and we are still looking for any drivers who may have been on the Nambour Connection Rd between 11 and 11.20pm on the night," Sgt Klump said. 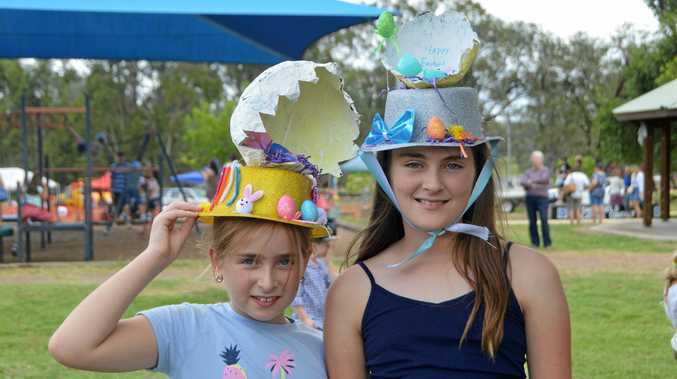 She said police also wanted to talk to anyone who may have seen the pedestrian in the area, or who noticed a vehicle pull over just north of the entrance to the Woombye caravan park. "A 24-year-old Caloundra woman has been offered support and counselling and has provided assistance with the investigation." A CRASH between a van and a ute at the entrance to Australia Zoo claimed the life of a 57-year-old Canandian man. An investigation into the cause is still in its early stages.